Join us in the main gallery for a beading circle lead by Dene bead artist Matthew Vukson. Surrounded by the work of Shelley Niro, Vukson will guide beginner and intermediate participants through the making of a 4” x 4” floral design on high quality wool using the two needle technique. Participants are encouraged to attend all three sessions. These circles are offered free as a celebration of Shelley Niro: women, land, river guest curated by Lori Beavis. Register online or call us at 705 743 9179. Materials included. Recommended for participants age 13 years or older. Matthew Vukson is an artist from Tlicho Nation, Northwest Territories and Brantford Ontario. Beadwork and its rich cultural legacy have been passed down to him through the women in his family. His passion of beadwork and visual arts is influenced by his travels abroad and from attending a workshop on Six Nations territory called “Opening the Doors to Dialogue” with Cayuga bead artist Samuel Thomas as the instructor in 2016. After participating he was taught the two needle method of beading by his mother. 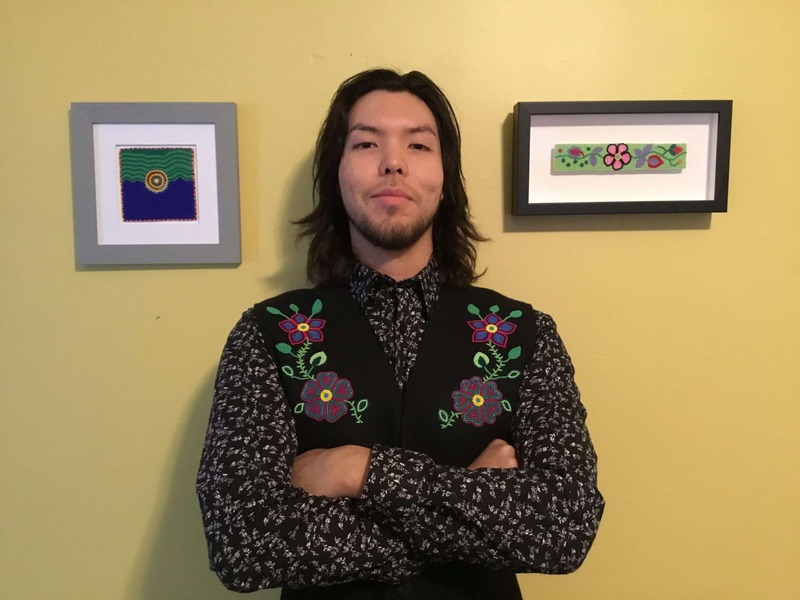 Currently he resides in Peterborough and is excited to share his beadwork with a global audience.